This informal group consists of delegates from various parties dedicated to issues of environmental protection and sustainable development, actively working on the promotion and acceptance of European standards and norms in this field. 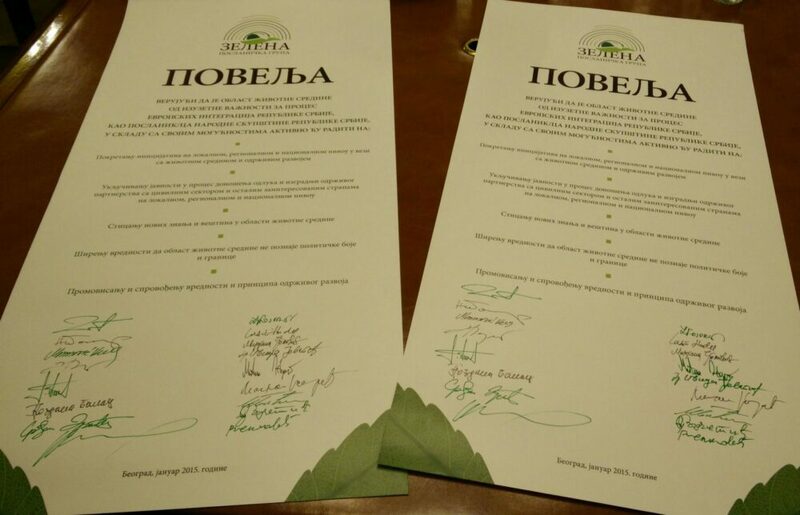 Informal Green Parliamentary Group was founded in November 2009 and has continued to renew its activities in all successive convocations of the National Assembly of the Republic of Serbia. 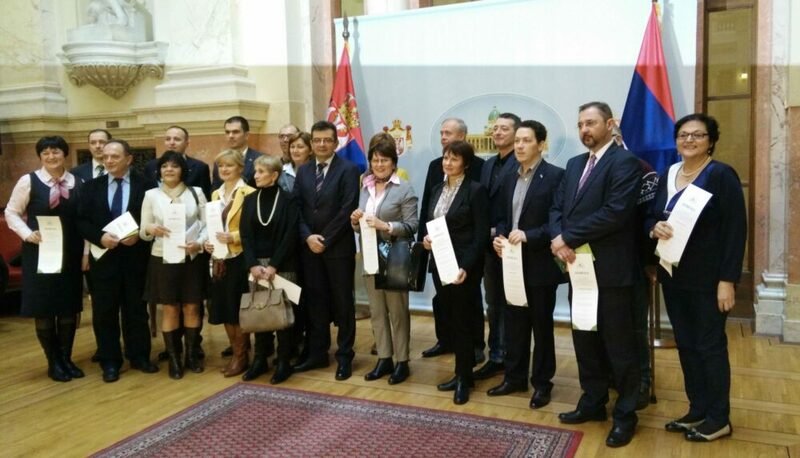 Members of this informal group are MPs from different political parties, who are devoted to environmental and sustainable development issues and are active in promoting European standards and norms in these areas. Since the very beginning of GPG’s work, Belgrade Fund for Political Excellence and the Center for Modern Skills have been its secretariat. Members of the GPG photographed in the National Assembly after the symbolic signing of the “Green Charter” (see below). Green Parliamentary Group (GPG) is an excellent example of MPs gathering round specific topic and proves that environment as such does not recognize political boundaries. The main goal of the GPG is to put environmental protection and sustainable development in focus and for these issues to be taken into consideration during decision-making process. Can we measure the contribution of nature to life and development?